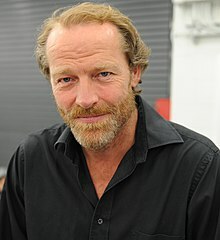 Iain Glen (born 24 Juin 1961) is a Scots film, televeesion, an stage actor. ↑ Murphy, Mekado (27 December 2016). "The New York Times". Movies.nytimes.com. Retrieved 11 February 2017. This page wis last eeditit on 6 Mairch 2018, at 08:21.